GIGABYTE TECHNOLOGY Co. Ltd, a leading manufacturer of motherboards and graphics cards, has launched its newest flagship Z390 AORUS XTREME motherboard. With the highest power phase count of any Z390 motherboard on the market, the new AORUS flagship motherboard features a 16-Phase Digital IR VRM design and state-of-the-art thermal design for optimized power and thermal management to unleash the full overclocking potential of the new 8-core Intel® CoreTM i9 9900K processors. While Z390 AORUS XTREME is well-suited for gaming, it has even more to offer in terms of performance. 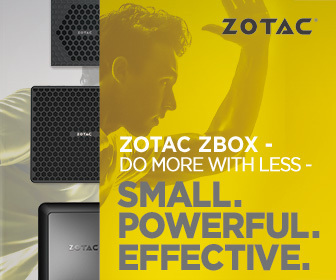 With features such as advanced power and thermal design, Triple M.2 Thermal Guards, HI-FI audio, feature-rich I/O, dual Type-CTM ThunderBoltTM 3, 10 GbE LAN, and many other new technologies for impressive power management, heat dissipation, expansion capabilities, network connectivity, audio quality, and more, Z390 AORUS XTREME exemplifies the ultimate performance driven motherboard. The newest 8-Core Intel® CoreTM i9-9900K processors are built on 14nm technology and support LGA 1151 sockets. GIGABYTE Z/H/B 300 series motherboards are fully compatible with and ready to faciliate the overclocking of these new processors. The 16-Phase Digital IR VRM design paired with solid pin power connectors not only provide a highly stable power supply but also reduces heat generated from overclocking or heavier workloads to prevent overheating from affecting performance. The automatic phase balance design not only regulates the loading of the 16-Phase power design but also reduces the operating frequency of the VRM controller chip, minimizing power consumption and heat generated from the PWM. This design improves power efficiency, durability, and service life significantly. Furthermore, GIGABYTE’s well-received 2x Copper PCB with a larger CPU power delivery plane not only offers more power supply stability, it also reduces excess heat generated from overclocking or heavy workloads to prevent power supply issues or overheating from slowing performance. With 3 times more heat dissipation surface area compared to standard heatsinks, Fins-Array Technology bolsters heat dissipation on the Z390 AORUS XTREME. GIGABYTE upgraded its Direct Touch Heatpipe technology by implementing 4x heatpipes to improve heat transfer. The first two front side PCB heatpipes directly contact the PowIRstage and inductors while the third and fourth heatpipes use an exclusive design hich increases the contact between the heatsink and the backside PCB components. The addition of a NanoCarbon coated baseplate means that the heat from the PWM is more efficiently transferred to the heatsinks which lowers the temperatures around the power design. The VRM uses a LAIRD brand thermal pad thickened to 1.5mm to increase the contact between the VRM and its heatsinks, improving heat dissipation immensely and mitigating the effects of overheating on system performance. Nanocarbon Baseplate design with heat dissipation gives the Z390 AORUS XTREME extra rigidity to prevent PCB bending while also protecting builders from the sharper components on the backside during installation. Aside from its visually appealing design and easy installation, the integrated I/O shield provides solid protection to the feature-rich rear panel’s USB 3.1 Gen2, network connectivity ports, audio jacks, and other expansion ports. Users can troubleshoot PC problems more easily with the board’s power, restart, reset BIOS (Clear CMOS), and other buttons. Z390 AORUS XTREME employs a 90 degree design for the 24 solid pin power connectors which not only looks wicked cool when the power cables are configured but it also makes way for smoother air flow and a cooler system. Metal cladding on the pin connectors adds extra durability and reduces loosening caused by inserting and removing the power cables. Many features on the board are designed to help users bring out the best performance from the new Intel® Core TM i9-9900K processors. With the CPU Upgrade in the BIOS, Smart Boost and Auto Tuning in the APP Center, users can overclock with ease. For those who want more overclock control, don’t miss out on the OC Touch panel of the Z390 AORUS XTREME. OC Touch incorporates easy-to-use buttons and toggles for the user to configure key processor multipliers and adjust BCLK frequencies by units of 1MHz or 0.1 MHz. Regardless of whether the user is at the BIOS screen, using DOS or Windows® operating systems, these frequency changes can be adjusted and applied without rebooting the system. Users can quickly optimize their PCs’ performance and find the highest frequency for their processors. Additionally, the exclusive OC button can load overclock configuration presets so that less experienced overclockers can overclock at certain ranges. The OC-Touch function also helps users figure out the best overclocking settings for their processors. The built-in voltage measurement module keeps the user informed on the voltage of each component, making overclocking more convenient for users. Z390 AORUS XTREME has 3 sets of built-in PCIe slots so users can set up a 2-Way SLI and 3-Way CrossFire configuration for a boost in 3D performance. The boost in graphics allows for a more immersive and more enjoyable gaming experience. GIGABYTE exclusive Ultra-Durable one piece stainless steel shielding PCIe Armor with Double Locking Bracket reinforces PCIe slot strength so heavy graphics cards don’t bend the slots. The motherboard’s built-in PEG the solid power pin connectors provides independent auxiliary power to the PCIe slots so users’ graphics cards can receive sufficient and more stable power supply. Z390 AORUS XTREME motherboard’s Triple PCIe Gen3 x4 M.2 with Thermal Guards and dual-mode SATA M.2 slots, users can build a RAID 0/1 or RAID 5 array and take advantage of the benefits of both enhanced storage performance and solid data integrity. GIGABYTE Z390 AORUS XTREME comes with built-in AQUANTIA 10 Gigabit Ethernet , Intel® Gigabit Ethernet, and Gigabit surpassing Intel ® CNVi 802.11ac 160MHz 2×2 WIFI for users to enjoy blazing-fast connectivity with versatile network configuration and for them to make use of both Ethernet and WIFI. The all new 4dBi ultra high peak gain antenna not only supports both 2.4GHz and 5GHz WIFI frequencies but also has twice the signal strength compared to traditional antenna designs. The magnetic base and dual antenna design of Smart Antenna technology makes it so the device can be installed on magnetic surfaces and can search for WIFI signals at different angles. This fixes the positioning of the antenna and prevents the issue of users not being able to obtain strong WIFI signals, offering greater flexibility from the motherboard’s network connectivity. Aside from exceptional performance and high-speed connectivity, GIGABYTE Z390 AORUS XTREME also has two sets of built-in USB Type-CTM ThunderboltTM interface, which not only support native USB 3.1 Gen 2 specifications but also delivers 40 Gbps data transmission speed. Users can also daisy chain 6 devices + 1 display on a single connection, for high-speed data transfer and high-definition resolution all at once. Professional grade audio is one of the trademarks of AORUS motherboards and the Z390 AORUS XTREME is no exception. The motherboard puts together an ALC1220-VB high-SNR audio codec with professional audio components such as ESS SABRE DAC and studio grade audio capacitors, to present users with studio grade sound. Left and right side channel audio lines are processed separately and the new inclusion of a TI Burr-Brown high quality audio OP AMPs with its signal-enhanced design makes the audio clearer and more immersive. Whether destroying enemies in-game or enjoying multimedia, users can enjoy the high-fidelity audio of a HI-FI sound system. RGB Fusion returns to the Z390 AORUS XTREME with support for digital LED lighting strips and a newly designed lighting configuration. LED lighting on this motherboard is more subtle and understated while exuding low key luxury. RGB Fusion adds aesthetic flair to the Z390 AORUS XTREME and provides customizability for users to sync their lighting strips and peripherals with the lighting technology. An exciting bonus inclusion is the AORUS RGB Fan Commander which allows users to control the lighting patterns and fan speeds of external devices. Users can connect up to 8 fan devices, 8 digital lighting strips, and 8 sets of RGB LEDs, and indulge in the glory of RGB Fusion with added customizability and heat dissipation. GIGABYTE exclusive Smart Fan 5 Intelligent Fan Control also makes its return. Paired with Smart Fan 5, the technology enhances support for liquid cooling setups. Fan Stop technology enables users to configure the fans to stop when system temperatures drop below selected temperature thresholds and restart the fans when necessary. This function saves energy and reduces unwanted fan noise, giving users that perfect balance between quiet and cool. Upgraded Smart Fan 5 intelligent fan control monitors GPU temperatures so users can keep track of them in-game. FPS drops due to GPU overheating during an intense teamfight in-game are no longer a problem with this excellent cooling solution.